“If you always put limit on everything you do, physical or anything else. It will spread into your work and into your life. There are no limits. There are only plateaus, and you must not stay there, you must go beyond them.” – Bruce Lee After two decades in this business I realize that writing will either; 1. break you; or 2. polish away your imperfections and make you a better human being. Sometimes getting to number 2 requires number 1 to happen first. Yesterday I listened to James Altucher’s recent podcast with Jesse Itzler to promote his book, “Living With A Seal: 31 Days Training With The Toughest Man On The Planet.” Jesse’s book is about how this former Navy Seal pushed to crush limits he didn’t even realize he had. This made me realize how human nature so often causes us to perceive our limits to be far less than they really are. There was a time in our history when this was probably useful for survival but in today’s world it often only limits our success and happiness. Writing, and pretty much every other worthwhile goal in life, requires you to develop a certain psychological toughness over time. Much like training for a marathon we have to consistently push ourselves to our limits, embrace the pain, and then explode beyond those self-perceived limitations. This is how people have always found success. After meditating for nearly half of my life I have learned very useful Jedi-like mind tricks that cause the shift in perception necessary to conquer fear or many things that seem impossible. I’m also aware of just how weak my mind still is sometimes. I’ve learned that a true growth-moment always occurs just after the pain and yearning is almost too much to bear. It’s the closest thing I can imagine to giving birth. As it normally does, life presented me with a few examples that became solutions. One example was James’ podcast with Jesse Itzler that I previously spoke of, the other came in the form of a friend of mine, Ulrika, from Sweden. Ulrika is a pharmacist, owns her own candy company, is raising children and still manages to write two (or more) large novels per year. At first this seemed impossible to me…until she revealed to me the simple secret of how she did it. No matter how much she has going on in her life she writes one hour per day. One hour. Every. Single. Day. It was that ingeniously simple. I decided to try out her method for myself and here I am, three weeks from the depths of my pain and frustration with a fully functional website (www.ericvancewalton.net) that I built myself. I’m also waking up an hour (or more) early before going to my day job to work on my second novel, Truth Is Stranger. This has reminded me is most of us can do and be so much more than we are. No matter what life throws at us, there’s never not a solution. Life will show us the way (sometime's it'll even kick us in the pants). Our only job is to be awake enough to see it and be willing to do the work. I can tell you first-hand, the glorious lack of regret is worth every single ounce of the pain. My new website is live. What do you think? The site will continue to be polished and content will be added in the coming weeks. Once there please click on "subscribe" to sign up for my mailing list. So this week it was back to reality after seven days in the Caribbean. I could say I am sad and depressed to come back to my normal life but that would be untrue. My life excites me, especially what lies ahead. Originally my plan was to get tons of work done on my novel during this trip to St. Thomas but I didn't. Honestly, I didn't add one word to it. The only writing I got done were a few poems here and there and social media posts. You know what? Typically this would leave me filled with extreme guilt but not this time, relaxation and fun is exactly what I needed. 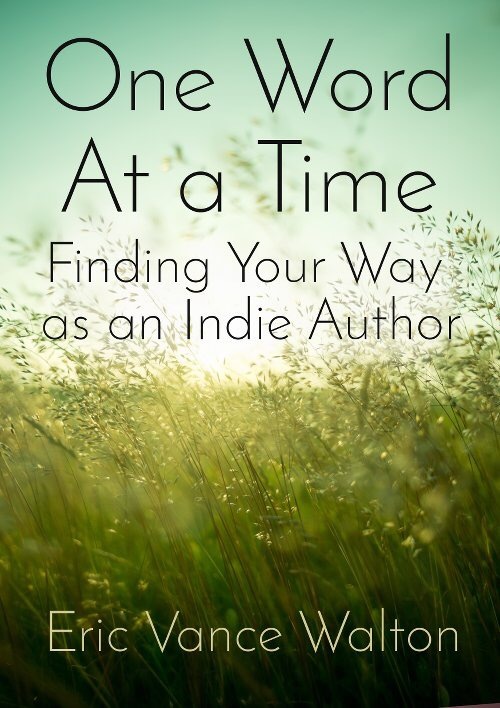 Burning the candle at both ends for the past few years as an author-prenuer with a day job has caused my writing career to grow significantly but it's also taken a toll. The price I’ve paid willingly and it was very much worth it, I have no regrets. Basking in the warm Caribbean sun and floating in its pristine turquoise waters was a realignment for my soul and I needed it badly. After the trip I feel recharged and ready for what's next. What comes next for me is setting and achieving some pretty awesome goals. One of those goals is beginning to consciously realign my life to make way for even more writing, more growth, and more travel. What I’ve found is writers are always working, even if it’s subconsciously. When we’re not writing we’re usually taking mental notes about nearly everyone and everything that crosses our path. While I was in St. Thomas I met many interesting and a few wonderful souls. I also had some true growth experiences. The wonderful souls were strangers at first but we parted as friends. When this happens you’re enriched because, in a way, these people's stories and experiences become your own. We met a young couple from San Diego, she was a competitive swimmer and he was a personal trainer. Then there was a man from Romania and his wife. He had immigrated to the US when he was nineteen and almost died during a failed attempt to escape Communist Romania in the mid-eighties before the Berlin wall fell. He suffered abuse at the hands of nuns who taught at the school he went to as a child, and corrupt Romanian police and military officers later in life. Against those odds he still went on to immigrate to America and build a successful construction business. During a brief chat over a delicious breakfast he told me two or three ways to immobilize an attacker with my bare hands. The last and most profound of the connections we made was with our AirBNB host, Lecia (https://www.airbnb.com/rooms/3139209?s=p6pABAhB). She taught in in St. Thomas for decades and retired but is still very involved in the community. She cares deeply about the children of the island and their future, she also cares about the environment. Her home is almost completely self-sustaining, she eats a plant-based diet and drives an electric car (which is charged by her solar panels.) Even better, through very smart decisions and hard work she’s built a life that gives her freedom to do what makes her happy. This entrepreneurial path is the one I’m walking on now and I need to surround myself with these kinds of people and soak up their wisdom. I've always loved travel but didn’t fully understand why. I’ve always been fascinated by new people, places, and experiences. Exploration runs deep in the DNA of humanity. I think our ancestors found out long ago that seeking new places and new experiences make us better and stronger, they deepen our knowledge of both ourselves and of the Universe. Growth doesn't come from doing more of the same things. Yes, ordinary life hands us its share of lessons but when we're traveling those lessons are condensed in significantly higher doses over a shorter period of time. I’ve learned many things through my two plus decades of struggle as a writer. Dreams only provide a temporary respite from a life that is less than ideal. For dreams to work they must be paired with smart decisions, follow through, and lots of hard work. Over the next few months I’m going to be shuffling many of the priorities in my life around to make more room for writing (of course) and travel. I’ve learned during the St. Thomas trip that travel isn’t as much a luxury as it is a necessary element in my life equation. Now that I'm back into my weekly routine of being rushed and pressed for time my heart literally aches when I look at the pictures from our trip and recall the freedom we felt. I’m going to use that heartache as a motivator. From now on I’m going to be budgeting for travel just as though it was healthcare coverage or groceries, in my opinion it’s just as important. I’m honored that so many of you wonderful souls are here with me to take part in my journey. I’m excited to see what the coming months will bring for us all. I promise you, the second novel, Truth Is Stranger, will be completed soon come Hades or rising tides. but in the distance I hear the dreaded drum, the dead drone of the drum. Darren was a bachelor, he would claim by choice, and he was also very particular. His life was lived like a sacred ritual, trying his best to make sure that each day was the same as the last. He woke each weekday morning at 5:20am sharp, showered, and shaved his salt and pepper shadow with a vintage chrome safety razor. He then brewed an extra strong cup of coffee and prepared breakfast which consisted of steel cut oatmeal with a quarter cup of blueberries and half a pat of grass fed butter, never more. Although Darren was what most people would consider content he had always felt like his life was missing something indescribable. It was as though his soul was a jigsaw puzzle that was almost complete, the few missing pieces were where his heart was but he had no idea of where to find them. Just before leaving for the office Darren always watered his bonsai tree, a ficus of the variety sold at Walmart, with one half cup of spring water, perfectly measured. For the last ten years Darren had cared for the bonsai like it was his first born. He even gave it a name, he called it Moe because the shape of the tree’s foliage reminded him of the mop top hairstyle of the lead stooge of the same name. His boss had given him Moe as a gift for his fifth anniversary with the accounting agency. The first night Darren brought the bonsai home to his apartment he had the distinct impression that, in some inexplicable way, Moe’s well-being would forever connected to the security of this job. He believed with all of his being that as long as he kept the bonsai healthy he would never need to worry about the security of his job at the agency. In Darren’s mind his theory was substantiated the following year. 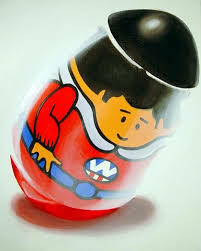 He had overslept by only few minutes and was running late, as a result he had forgotten to water Moe. This couldn’t have happened on a worse day, it was the day of his annual performance review at the agency and his absentmindedness cost him dearly, that year he received a measly ten cent raise. Darren spent nearly every Saturday weeding through the stacks of books, intoxicated by the mustiness of antiquity. Wimbley’s was the one of the few places on Earth where he felt like he fit in. Sometimes he would pack a sandwich and a piece of fruit in his messenger bag for sustenance enough to spend the entire day there. From the moment he got off the train he felt as though a magnet was pulling him towards the front door of Wimbley’s shop. His strides were a little more hurried than usual as he crossed the busy street. Sam, one of Mr. Wimbley’s clerks, had left Darren a cheery voice mail on Tuesday morning with the news that his book had arrived. It took all of his restraint not to continue riding right on past his normal stop that night after work to pick up the treasure. Darren worried over the matter for the rest of his workday that Tuesday but was worried that any deviation in his routine might throw off his luck for the rest of the week. Darren turned the doorknob and stepped inside Wimbley’s shop and as he did the tarnished brass bell that hung above the door chimed alerting the staff he had arrived. “It’s Darren, nine o’clock exactly...punctual as always. I have no idea how you waited four days to pick this up, you have more patience than me,” Mr. Wimbley said peering over top of his wire rimmed glasses, eyes squinting as he smiled. “It wasn’t easy, Sir! I was just so busy,” Darren answered as he blew into his hands and quickly rubbed them together. The treasure that Mr. Wimbley spoke of was a copy of a fifteenth century Irish illuminated manuscript obtained from an extensive book collection in Dubai. There were only three known copies of this ancient manuscript created by a lone Irish monk. Legend has it that the monk, whose name had since been lost to history, lived in a two room stone house that stood alone amongst the craggy cliffs of the Irish seashore. The monk had befriended the two Gaelic tribes in the region he was put in charge of converting to Christianity by the Vatican. After living among the native people for only a few months the monk went rogue and adopted the pagan people’s dress and their way of life. The monk was so taken by the power of these people’s spiritual beliefs he felt it his duty to meticulously transcribe the Gallic druids’ oral tradition word for word. Each page of the book was handwritten in flowing calligraphy; although it was officially untitled, the book was referred to in collector’s circles as The Gaelic Book of Wisdom. The book contained three hundred and sixty-five passages, one for each day of the year. The monk then made two additional copies of the book, he kept one for himself and the remaining two were given to the chieftain of each of the two tribes. When the word got out that the monk had been turned by pagans and failed in his missionary work, assassins were dispatched by the Pope himself to put a swift end to the monk’s shenanigans before a legend was born. The Gaelic Book of Wisdom is now considered one of the grails of bibliophiles. A person had be in the inner circle to even know about, let alone, get a chance at owning something as special as this. Darren’s ticket into this rarified world was Mr. Wimbley and his admission was earned slowly over decades of patronizing his bookstore and thousands of dollars changing hands. Fletch was attractive in a waspy conservative sort of way. Her hazel eyes were studious and she wore her brown hair short in a fashionable bob cut. She was almost always stealing glances across the shop at Darren on Saturdays and he would occasionally sneak a look at her too. Darren had the distinct impression that there was something meant for him in this manuscript and that it would somehow help him to feel whole again. He was hardly a man of means but he was so sure of the importance of this purchase he took out a loan against his 401k to buy it. The incredible details that Fletch had shared with him over successive Saturdays put to rest any reservations he might have had. Fletch lightly placed her hand on Darren’s shoulder and glanced from side to side to make sure no one else was within earshot, “The auctioneer we bought this from said the previous owner of the book bought it nearly a decade ago a flea market in Paris and found an old letter written on parchment between its pages. The letter told of how the book had a way of finding the person who needed it most and shared stories of how past owner’s lives were magically transformed for the better after acquiring the book...” Fletch trailed off as the brass bell rang and a few new customers noisily filed through the door. There was a look in her eyes that told him there was much more she wanted to say. “Well, I could really use some magic in my life,” Darren laughed nervously. Mr. Wimbley wrapped the book carefully in brown paper and tied it off tightly with twine. Darren eagerly handed him a cashier’s check for ten thousand dollars. Mr. Wimbley removed his white gloves and held the check up and studied it in the light. He then paused, slowly twisting the end of this handlebar mustache. Darren exhaled more deeply than he ever did in his life, he knew now he had crossed all of the hurdles. “I do, “ Darren said. As he exited the shop Darren cradled the book against chest as if it was a newborn baby. He decided he wouldn’t take off the wrapper until he was home but could swear that he felt the power in it as he held the book close. He could remember nothing of the train ride home, all he could think about was unwrapping his treasure. He quickly unlocked the door of his apartment, slid on the white gloves Fletch had given him, then carefully cut the twine with his Swiss army knife. Darren held his breath as he slowly peeled back the brown paper revealing the book’s cover, it was an emerald green leather and was in remarkably good condition for its age, only slightly faded. As Darren cracked open the book he was in awe of the richness of color on the pages and elegant flourishes of the calligraphy. The scent was a combination of old paper, leather, and the sea. He started to read and from the first few words Darren felt wisdom and vitality pour over him. Immediately he got the distinct impression that little by little the puzzle of his life was being completed and this book contained all there was for him to learn. A few days passed and he read from the book religiously. Each day he arose an extra fifteen minutes early to allow himself time to mindfully absorb each new passage. Almost immediately he began to notice a great change in his life: men treated him with more respect; women began to notice him; and the day's events seemed to suddenly flow effortlessly in his favor. On Wednesday of the following week Darren’s phone buzzed as he was grocery shopping, he glanced at it and decided to pick up the call when he noticed, “Wimbley’s Books” flash across the screen. “I’m not sure what you mean,” Darren said dumbfounded as he continued bagging his pink lady apples. “There’s something I need to tell you.” Darren could hear Fletch breathing heavily on the other side of the line. “I made it all up about the book,” she said as she started to sniffle. The sniffles then turned into sobs. Darren’s face took on a look of bewilderment as he walked away from his grocery cart. For a moment Darren let his emotions get the better of him and completely forgot where he was. “You’re lying. I feel the magic in it, I feel the change in me and nothing you tell me can convince me otherwise!” he yelled, now pacing back and forth in the produce aisle. “Oh I get it, you probably just want the book for yourself, don’t you Fletch? This conversation is done!” Darren said as he forcibly tapped the end call button and shoved the phone into the pocket of his trench coat. Oh my, after all these years now I have to find myself a new bookstore Darren thought to himself as he took a deep, controlled breath and continued shopping as though it was just another day. My name is Eric Vance Walton and it’s been two months since I fell off the wagon. There, I said it, I began to stray from the path that was working and back into an old and self-limiting, pattern of behavior that for the previous fifteen years had gotten me nowhere. This feels strangely liberating to admit publicly. It all started innocently enough. About two months ago I became obsessed with listening to the New Yorker fiction podcasts while on my lunch break from my corporate job. In these podcasts authors who’ve been published in the New Yorker read their favorite short stories of other authors aloud. This became like a master class for me in writing short fiction and it prompted me to craft a few short stories of my own. I took a break from working on my second novel and spent a good chunk of time getting the short story drafts just right. Then I offered my work to beta-readers for their feedback and when I had received all of their responses I spent even more time polishing these stories. I then thought it might not hurt my writing career to submit these short stories to the New Yorker, so I did. After fifteen plus years of being rejected by the traditional publishing world and another five years of heading down the self-publishing path, the New Yorker submission process was a stark reminder of how cold and unwelcoming the world of traditional publishing is to an, “undiscovered” (in their eyes) author. The submission guidelines stated as follows…expect a three month response time and due to the high volume of work submitted we will only respond if your story is accepted. Around the same timeframe I also signed up for a writer’s conference in Chicago where I would get the chance to pitch my trilogy of novels to a seasoned literary agent. I was excited, this happened to be the exact conference that Veronica Roth, of the Divergent series fame, was “discovered”. A few weeks after I signed up for the conference events in my life transpired to make attending it very difficult. I began to question my decision, it just didn’t feel right, it wasn't flowing. I felt like I was once again rattling the gate and begging the gatekeepers to allow me a glimpse of their rarified world. This didn’t jive with the entrepreneurial path I had been walking with my writing for the previous five years, the merits of which were strongly reinforced by James Altucher’s book, Choose Yourself. I was giving away my power once again and I felt it diminished my strength as both a writer and as a person. The proof was right there in the results, my writing career had grown infinitely larger and more quickly in the five years I was choosing myself than it did in the previous fifteen years of trying to convince the gatekeepers of the literary world that I was worthy. Well, to make a long story as short as possible, I’m now back on the right path again. I realize the only people’s opinion that I truly care about are my readers. The traditional publishing path clearly wasn’t meant for me, if it was I would be locked into a multi-book deal with film rights already. I plan on publishing the short stories I wrote for the New Yorker on my own platform and will eventually use them as material for a “funnel book”, a free eBook designed to drive readers towards paid content. I’ll also use the money that would’ve have been spent on the conference to redesign my website so I can start to build and manage my own mailing list. I attribute the missteps of the past few months to some kind of temporary insanity, or possibly a mid-life crisis…whatever the cause, it feels great to be steering my own ship again, it feels great to choose myself. Brené Brown said, "When you own your story, you get to write the ending.” Just watch how I wrap this one up. the greatest gift of the mortal is living a life so brave that you find your tribe, and grow old with those know your soul so well, they can see the world through your eyes. This guy makes even my green tea habit look tame. 😳 Click here to watch the video. there should be no other way. I had posted something on social media a few days ago about learning something new every day and wrote yesterday about the need to step outside of my comfort zone when things don’t feel as if they’re progressing. Since the launch of my novel, Alarm Clock Dawn, in 2013 I’ve worked tirelessly to write new books, engage readers, and generate new original content almost every single day across Twitter, Facebook, my blog, and whoever else will have me. All the while I've kept my day job. In these years I’ve had some successes and have met some truly amazing folks. After three years of very hard work, I’ve realized that I’m not reaching my goals fast enough. Albert Einstein defined insanity as doing the same thing over and over an expecting different results, this is precisely what I’ve been doing. The truth is social media isn’t the path to success that it once was for us indie authors. Facebook is limiting post outreach more and more every day. I believe everything happens for a reason and when it’s supposed to, this recent string of events must mean that I’m finally ready. I hope so. Over the next few months I’m going to be recalibrating my entire approach to my writing career. Instead of spending all my time generating content and writing books that reach only a handful of people, I’m going to work hard to build an army of readers that Facebook, Twitter, nor any other entity can limit my access to. Along the way I’m going to be completely transparent with you about my results so others can benefit from what I learn. Writing is, and always has been, a labor of love for me but I also want to make writing my fulltime career. Building a large readership base and then setting my marketing on autopilot will free up my time to write more books, create more quality social media content and engage with you more than I could ever hope to any other way. This will involve developing a mailing list, building a proper website, as well as many other things that I won’t bore you with right now. I’m very excited for the future and I hope you're a part of it. Please be patient with me during this transition. Know that each of you are very much appreciated. Your support over these past few years is what has kept me going! These excuses are falsehoods that, once I climb from the mire of self-pity, eventually allow me to justify continuing down a path that isn't working out. Yes, I receive great joy from my work, there's no denying that, but one thing the Tao Te Ching has taught me to do is step outside myself and look at things objectively. When I do this I see the truth, my work is just not good enough. Admitting this is an amazingly freeing and cleansing experience. If my writing was good enough my words would resonate with people to the point they would catch fire. I would be doing what I love for a living. This very moment I'm taking full ownership of my life, both the successes and the failures. Like James Altucher has said many times before, there are no longer any gatekeepers. This is very important to realize because when you do you can't blame anyone but yourself. I'm totally responsible for my own happiness and success. My second novel, Truth Is Stranger, will be done by June, a series of short stories called, Embrace The Wobble will be published shortly after that, and I'm actively seeking people interested in making my trilogy of novels into films. Indentured Solitude, my latest short story, is the best fiction I've ever written. I know I can do this. I see that all of the struggles and life experiences I've been through have made my writing better. I'm going to continue to learn, continue to walk down my happy path, and continue to write. A few other things the Tao has taught me is: 1. everything happens in its own time, when it's meant to; and 2. we must act but detach ourselves from results of those actions. 2016, like any year, will be filled with the usual ups and downs but this year I refuse to see myself through the lens of any falsehoods, any excuses will be hunted to the point of extinction. In the New Year, and every year thereafter, I'm going to work harder than ever before at my craft until my words absolutely catch f*cking fire. There’s no other way. Until then, my head and heart will be completely in my work, I will try to see things as they are and not how I wish them to be, and my nose will be trained for that first sweet whiff of smoke. Happy New Year all! Thank you all for the wonderful support and ideas. May 2016 bring you truth and may that truth lead you to the success you seek. The news this year, more than any other year I can remember in my 44 years on the planet, is full of violence, racism, war, and fear mongering. It seems our world is going haywire. This really got my brain going about how we could start a wave of love and positivity. Through my social media pages I'm fortunate enough to have a pretty good sized global audience of amazing people. I'm a firm believer that there is still more good than bad in the world and I'd like to prove it. Our society has turned this Holiday season into a frenzy of consumerism that brings with it a whole host of negative emotions for a lot of people. More than any other time of the year, the Holidays make people long for loved ones who are no longer here, brings back feelings of regret, it can make people feel like they don't have enough money or things, and like they don't measure up in general. What I propose, if you can spare it, is to invest $20 in the goodness of humanity. You can use this $20 to help someone you know or a stranger you cross paths with. Pay someone's bill in a restaurant, buy a homeless person a hot meal, or simply hand someone a twenty dollar bill and say Merry Christmas, Happy Holidays or whichever Holiday Greeting you prefer. It's easy to forget that each of us are fighting a battle every day and, despite appearances, we have no idea what kind of struggles others are going through. This idea is very simple. It serves a twofold purpose. It may just help renew someone else's faith in the goodness of humanity and, I promise, it will make you feel INCREDIBLE! This simple act will bring you much more joy than anything the $20 could purchase. In fact, it might be the best gift you get this year. I'm doing it and will report back my results. 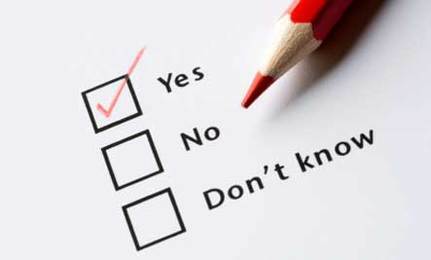 If you decide to participate, please report your results on my author page as well. I'll be reposting this a few times per week until Christmas. Please SHARE this post. Let's start a wave of light to drown out the darkness of this world...or maybe just forget about it for a little while. Thank you for your interest in my work this year. May your Holidays be rich with all the things that truly matter. DEAR READERS: I’m excited to announce the pre-sales for my newest handmade poetry chapbook start now! 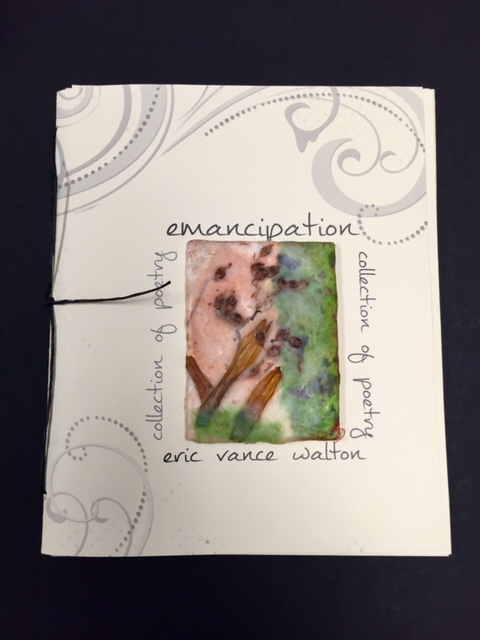 EMANCIPATION is the second volume of my poetry chapbook series. Artist Kristi Casey has outdone herself this time by creating a beautiful work of art that incorporates a technique called encaustic painting. The chapbook is handmade, hand-bound, numbered, and autographed. Emancipation contains twenty-three original poems with the general theme of freedom. I’m so proud to share this project with you. This book of original poetry will have a very limited print run of 75 copies for this handmade version. The dimensions of the book are 5” x 6” and the interior is printed on 24lb paper. Since it’s handmade, each copy will be slightly different in appearance. $14.00 per copy for those outside of the U.S. (plus a flat shipping fee of $10 for up to 5 copies shipped to the same address). 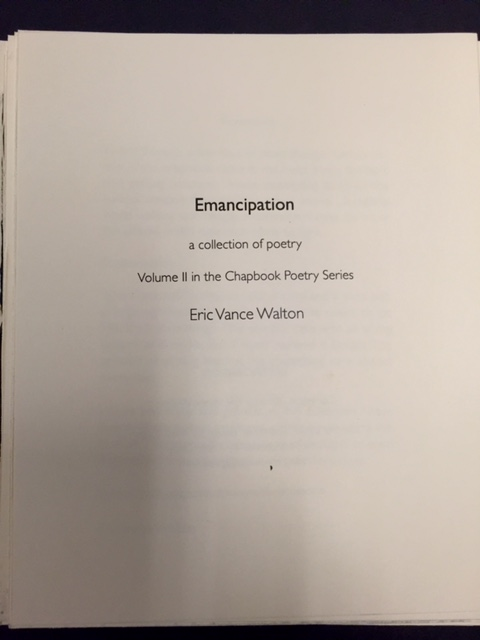 Reserve your chapbook(s) via PayPal (https://www.paypal.com) in 4 easy steps: 1. log onto your Paypal account; 2. choose, “Pay or Send Money”; 3. click, “Send money to friends or family; and 4. send the proper amount to, “ericvancewalton@gmail.com”. Please don’t forget to include the shipping address in the notes. If you’d rather pay by check please send me a private message with the number of copies you wish to purchase and your address and I’ll respond with the address to which you can send a personal check. “I went through a few days of deep thought before the title of this chapbook came to me. I was trying too hard and getting nowhere. I was attempting to force the natural creative flow and this never works. Suddenly, while walking our beagle, a common theme for all of the poems in this collection came to light. Take a moment to analyze your dreams and wishes. Isn’t a large component of each of them the desire to be free from something? This was the case with all of my dreams and wishes but I never realized it before. The process of writing teaches me something new almost every day. I hope you enjoy and get lost in this collection. These twenty-three poems represent almost a year of my life. In them I hope you find joy, a seed of thought, or even inspiration for an emancipation of your very own! This book of poetry would make a very thoughtful and unique Holiday Day gift. Although we can’t guarantee it, we will do our very best to have these to your doorstep by Christmas Day. Again, the price is $15.50 per copy (shipping included/U.S. domestic only) and $14.00 per copy for those outside of the U.S.(plus a flat shipping fee of $10 for up to 5 copies shipped to the same address). It took me over eight years to complete my first novel, Alarm Clock Dawn. Why? Because I am my own worst enemy. For almost a decade my brain spewed a steady stream of self-doubt, fear, and hundreds of excuses as to why I couldn't finish the manuscript. I don’t know how to write a novel, I don’t have time, and at least ninety eight more idiotic excuses.But outside influences (mainly the wish to escape a horribly stressful job in which I was working 60-70 hours per week) forced me to push through the self doubt and fear and finish the novel against all odds. The final push came from a friend at a dinner party who jokingly asked me if I finished that novel yet. The day I finished the first draft was one of the best days of my entire life. I've met a lot of people in my forty-three years on Earth and most humans are their own worst enemies. Something in our DNA seems makes most of us self-saboteurs. It’s so easy and comfortable to give into the self doubt and fear and take no chances. I gave into this way of thought and said no to opportunities for almost twenty years. After a while I simply grew tired of disappointment and disenchanted with failure. I wanted to say yes to life. Charles Bukowski said, “The problem with the world is that the intelligent people are full of doubts while the stupid ones are full of confidence.” It’s sad but true and this one quote explains why our world is in the shape it is. Some of the most intelligent people I know are trapped in a self imposed prison cell they’ve constructed inside their own heads. Their lives become paralyzed in a maze that keeps them in a continuous loop of over thinking.They forget how to listen to their hearts and their intuition. Finishing my novel taught me one of the most valuable lessons I’ve learned in my whole life. I learned the life we all want lies just on the other side of doubt and fear. Things feel the bleakest just before your big breakthrough. The life of your dreams begins after you say yes. Once you push through to the other side there is no turning back. The adrenaline produced by standing toe to toe with fear becomes addictive. There truly are no limits except for the ones we impose on ourselves. Once I dipped my toe into the pool of success I began to notice others around me who live their lives by this mantra. Some of these people have overcome great failures. Some have just thought outside of the box of conventional thinking or refused to be pigeonholed into stereotypes. A few years ago my wife and I took up roller skating. Shortly after we started we met Robert, one of the fastest skaters at the rink. Robert appears to be fifty-five or so but we discovered later he’s nearly seventy. He still rides dirt bikes, break dances, and is a faster skater than people half his age. What is his secret? Good genes might have a little to do with it but even more importantly, Robert says yes to life. The next time you think of trying something new (and outside your comfort zone) and feel that familiar tinge of fear, simply say yes. The next time the universe presents you with an opportunity that you think you’re not ready for say yes and figure out a way to make it happen. I promise it will get easier the more you do it. You will be amazed at how fast your life will change for the better. This tiny three letter word carries a lot of power. Just say yes, stand back, and watch the magic happen. I’ve been in this business longer than I care to think about. If I think too much about how many years of my life I’ve been pursuing the goal of becoming a full-time writer I sometimes get depressed. Up until just a couple of years ago I didn’t even have a real plan, I was only a dreamer and the dream didn’t have teeth. It’s good to dream but that’s only one element of what it takes to get you there. Recently just such a moment of depression descended on me. My sales had hit a plateau; there were no new opportunities to speak of. It only lasted a few hours but it was a gut wrenching feeling that this was as big as my dream would ever become. I feared my fifteen minutes were over. Then I remembered that I’d felt this a few times before and usually when I did a breakthrough was on the other side of that dark night. What I’ve found is the closer I get to achieving that next burst of exponential growth in my writing career the more seems to be working against me. I’ve learned from talking to others who are trying to achieve a dream similar to mine that this experience isn’t unique.